Under the new law that consolidated agricultural commodities under a new body known as JACRA, growers who farm crops in “commercial quantities” will now have to be licensed, and those without permits may face up to five years in prison and fines ranging up to $5 million. It’s a new element of the law, according to Dr Garnet Brown, consultant for organisational transformation at the Ministry of Investment, Commerce, Agriculture & Fisheries, who says it covers farmers of coffee, cocoa, coconuts, ginger and other regulated spices. But one of those farmers believes the penalties are a massive overreach and could end up chilling business. “In the first 25 pages, there are 10 sections where it wants to fine the farmers $3 million and/or imprison them for up for 12 months for breaches of this act,” said Roger Turner, managing director of Tulloch Estates Limited. “Farmers will be fined a greater amount and imprisoned for a longer time than a thief, who steals these crops from a farmer,” the farmer noted. Turner, who farms cocoa and coconuts, also sees the JACRA regime as being counter to free-market principles. “It speaks to setting prices, quotas, and who can grow where, when and how. It breaches many international agreements,” he said. “This legislation belittles and subjugates farmers, trying to force them to comply with antique rules that will [push] away overseas investors and cause current farmers to wilt. Much of this legislation contradicts current trade agreements,” he charged. Commercial quantity is defined differently for individual crops under the law, but ranges in quantities of 25 kilogrammes to 400 kilogrammes. Brown says the new licensing regime is meant to act as a check on agricultural theft, otherwise called praedial larceny, and will be used as an avenue to police product standards now that the State is exiting the commercial side of agriculture and leaving it private operators. Citing an example, he said the former law governing the cocoa trade was silent on quantities regarded as commercial or non-commercial, while the law that created the Jamaica Agricultural Commodities Regulatory Authority, JACRA, defines commercial quantities as anything over 100 kilogrammes or 50 trees under cultivation. For other crops covered by the JACRA Act, the quantities are defined as: 50 coffee trees, 25 kilogrammes of cherry coffee; 80 coconut trees, 8,000 coconuts; 1 hectare of ginger, 400 kilogrammes; 30 nutmeg trees, 300 kilogrammes; 50 pimento trees, 25 kilogrammes; and 1 hectare of turmeric, 300 kilogrammes. JACRA also aims to regulate a category called ‘oil producing items’, including almond, avocado, castor bean, cocoa, groundnut, linseed, maize germs, nutmeg, oil palm, olives, palm kernel, rapeseed, safflower, sesame, shea nut, soya bean and sunflower seed. 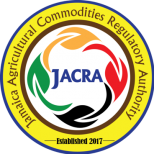 JACRA is a consolidation of commodities boards that oversaw the cocoa, coffee coconut markets, as well as the export division of the agriculture ministry. Those boards previously had commercial functions, which are being divested, and JACRA will operate exclusively as a regulator and inspectorate. The agency will launch by year end, assuming the regulations to guide its operations have been gazetted by then. The licensing period is still undefined for growers, but the permit is to be renewed 90 days before expiry. Persons producing for themselves and their household at levels “too small for commercial significance” will not need a licence. “The penalties are new and relate to the regulatory and licensing requirements. What we are really and truly trying to do is to protect the grower, especially coffee,” said Brown. “You have some people who are trying to pass off ordinary coffee as Blue Mountain coffee; you have some unscrupulous people who have tried to pass off coffee on the international market as Blue Mountain coffee – we are now protecting it …,” the consultant said.